William was born on 12 May 1845 at New Mills, Derbyshire, to parents Ambrose Kirkland and Ellen Yeomans. Ambrose was a PM Minister. Ellen was also a preacher for nearly seventy years. 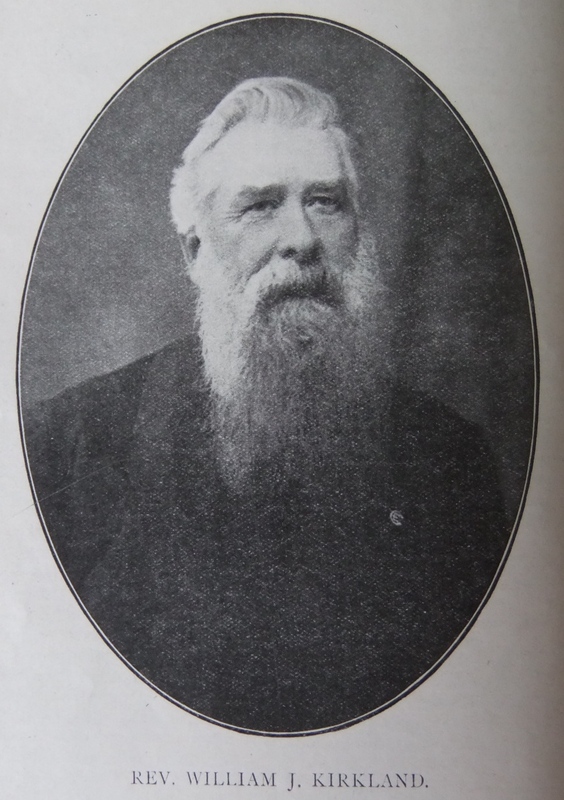 In 1864, William began to preach in the Northwich circuit and in 1866, William was called to supply in the same circuit due to the illness and death of Rev Matthew Lee. In 1871, William was working as a clerk for a railway company at Crewe, Cheshire. William served as Secretary of the District’s Synodical Sunday School Union, Temperance and Missionary Departments. He took an active part in the Passive Resistance Movement and was summonsed for the non-payment of rates for sectarian teaching. His obituary records that William was richly dowered with a commanding presence, a vigorous personality, and a keen business acumen. He was a fervently evangelical preacher. William was widely travelled having visited France, Belgium, Holland, Germany, Sweden, Canada and USA. 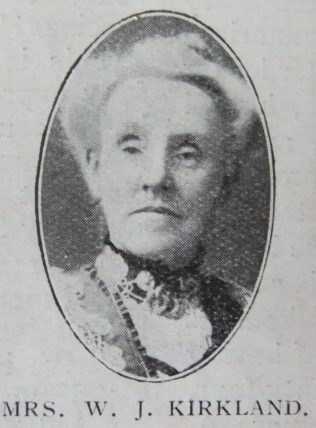 William married Harriet Moses (1851-1921) on 16 December 1868 at Runcorn, Cheshire. Census returns identify seven children. William died on 2 May 1915 at Macclesfield, Cheshire.